It’s easy to load in a new brush! Retouching is an important part of any portrait, whether it’s a wedding, engagement, or high school senior’s photo. Most people are used to the airbrush technique, and since in the early days of photo retouching an artist would use an actual airbrush to do this, it’s no wonder why people still use the default airbrush tool in Photoshop today to pretty much the same effect. Photoshop is great in the respect that you can use your own custom brush in addition to it’s default airbrush preset. I made my own custom brush, using a more organic pattern, to achieve much better results. This brush is great on any type of face, or body part as it replicates the random nature of skin, such as pores and other surface textures. The trick when retouching is being careful not to smooth your subject’s skin out to the point where they look flat and plastic. Using a textured brush like this allows you keep the skin looking real while gently painting away imperfections. Also keep in mind that some imperfections, especially in men, are defining features and should be only diminished in strength rather than removed completely. 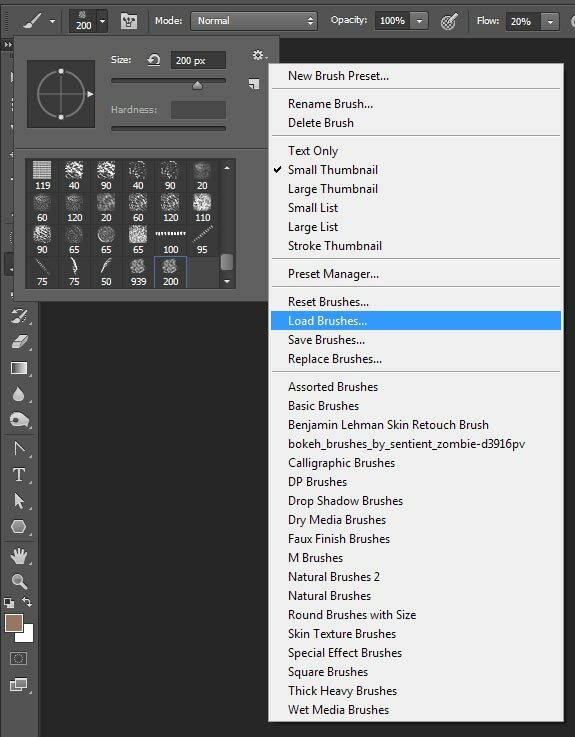 You can download the file HERE and then load the brush within Photoshop under the brush menu. Here’s an example of a before and after. Even using the brush subtlety can make a big difference.